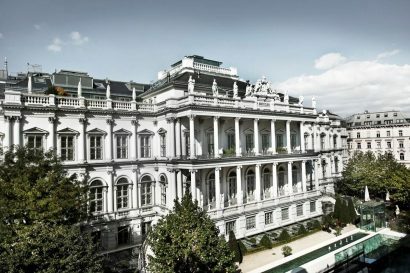 A palace, a residence and an oasis in the heart of Vienna. 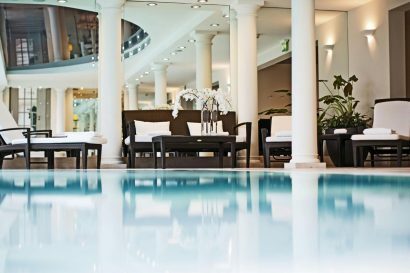 Once the seat of the House of Saxe-Coburg and Gotha, it is now one of Austrian capital’s most exceptional five-star luxury hotels. 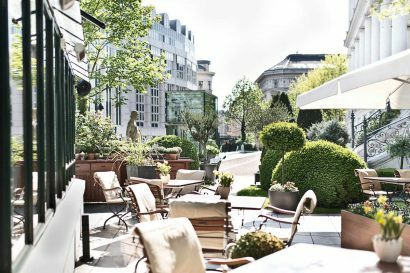 Once the seat of the House of Saxe-Coburg and Gotha, it is now one of Austrian capital’s most exceptional five-star luxury hotels. Palais Coburg was built between 1840 and 1845 in a classicist style, commissioned by Ferdinand von Sachsen-Coburg-Gotha. The grand palace was constructed atop a former bastion, the Braunbastei, whose foundations include sections of the city’s fortifications dating from the sixteenth century. In 1997 a private foundation, the POK Pühringer Privatstiftung, acquired the building. From 2000 to 2003, after several years of planning, they renovated, revitalized, and rebuilt the structure taking into account all available historical information. On 7 November 2003, the “new” Palais Coburg opened to the public. 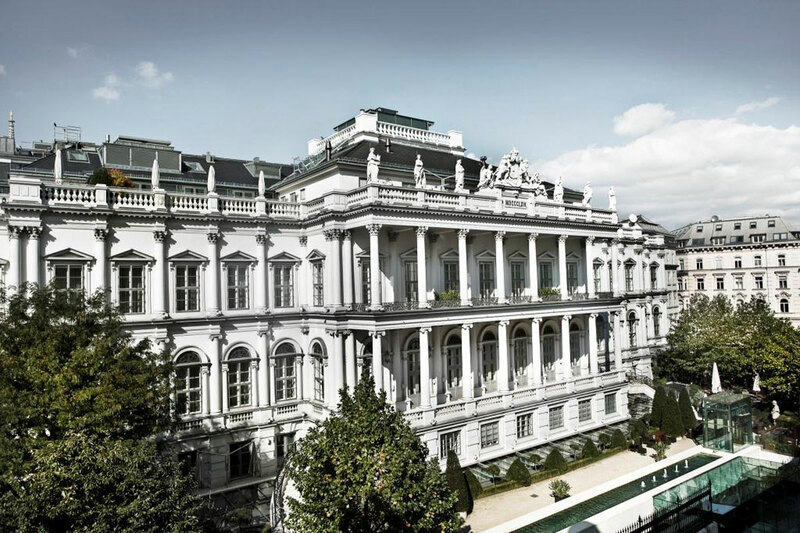 Six centuries of Viennese architectural history can thus be experienced in one building. The building’s unique historical fabric is also the base of the Palais’ current use, with its total area of more than 16,000 square meters. Palais Coburg Hotel Residenz opened in 2003 and has not done a major renovation since then, nonetheless the property regularly closes some areas/suites of for one week in order to do ongoing soft renovations. 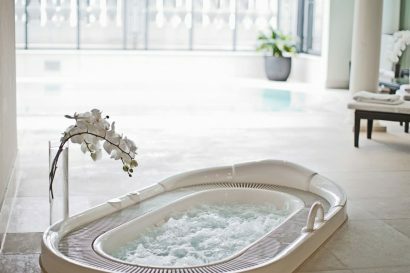 Unique hotel with 34 individually designed luxury suites, an exclusive Spa area with indoor pool and one of the most beautiful gardens in Vienna. 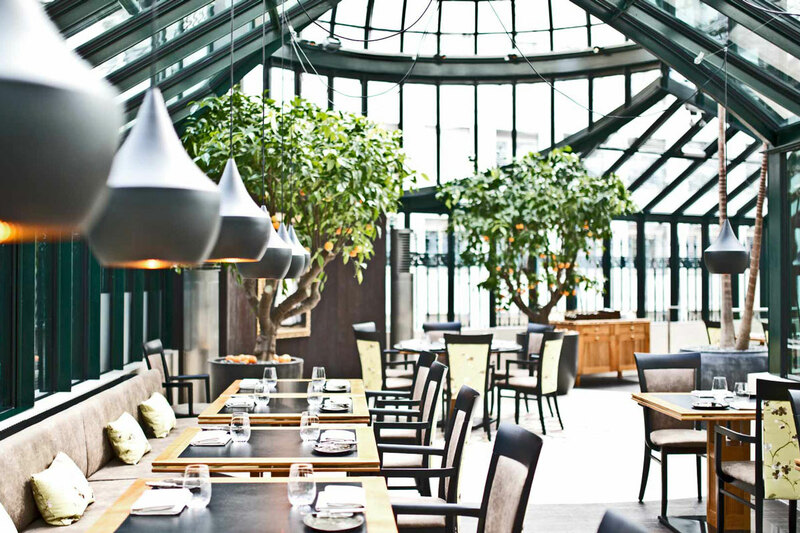 A 2 Michelin-starred Silvio Nickol Gourmet Restaurant and the young restaurant “Clementine im Glashaus” with its idyllic garden seating area. 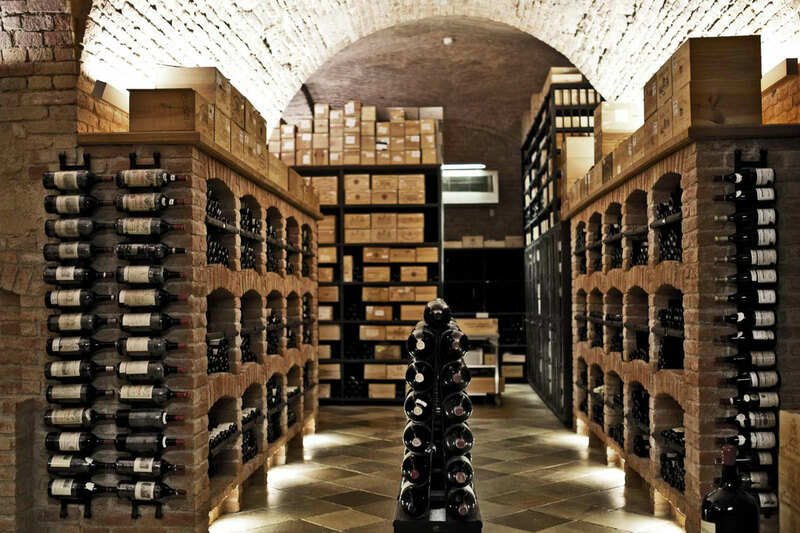 The wine collection of the house with around 60.000 bottles in six wine cellars is one of the best in the world (“World’s Best Wine List”, World of Fine Wine). Twelve versatile meeting and event rooms provide the perfect frame for every type of event. 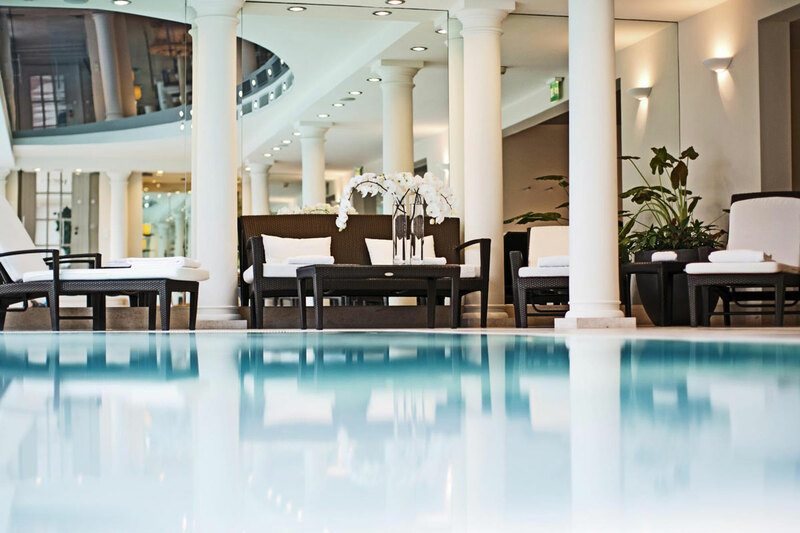 The hotel is located right in the heart of Vienna within only a few walking minutes to the famous St. Stephen’s Cathedral, Kärntner Strasse and Stadtpark. 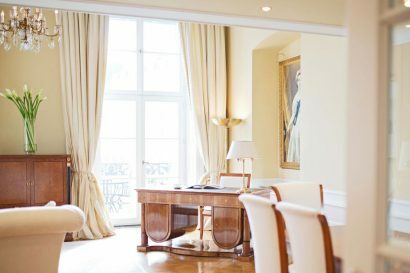 The thirty-four highly individual retreats at the Palais Coburg Hotel accommodate the most unique tastes: from the elegant Coburg and Bastei Suites to the City and Residence Suites through to the extravagant Palais Suites. Suite sizes vary from 54 to 165 square meters, whereby all accommodations share maximum comfort, utmost privacy and a vibrant relationship to the house’s history. In keeping with an authentic atmosphere, all of the suites are named after members of the Sachsen-Coburg and Gotha families. In terms of technical outfitting the suites offer individualized air conditioning, LCD/LED TVs in the living room and in the bedroom. All of them offer internet access, a superb stereo system, and numerous telephones. Above and beyond the exceptional ambiance, Palais Coburg offers all amenities that a guest could possibly expect from a top-class luxury establishment like a rich à la carte breakfast, all contents of mini bar as well as aNespresso coffee and tea setup and welcome amenities upon arrival including a bottle of fine champagne, fresh fruits and a flower arrangement. Most of the suites are two-storey facing the city centre or modern suites with terrace and garden view. Guests can choose from two-storey suites with garden view, one-storey suites with separate workroom, cathedral view and modern suites, also with cathedral view and roof deck. Two-story suites with two sleeping rooms, living room, dining room and workroom or a suite with garden view and terrace are available. 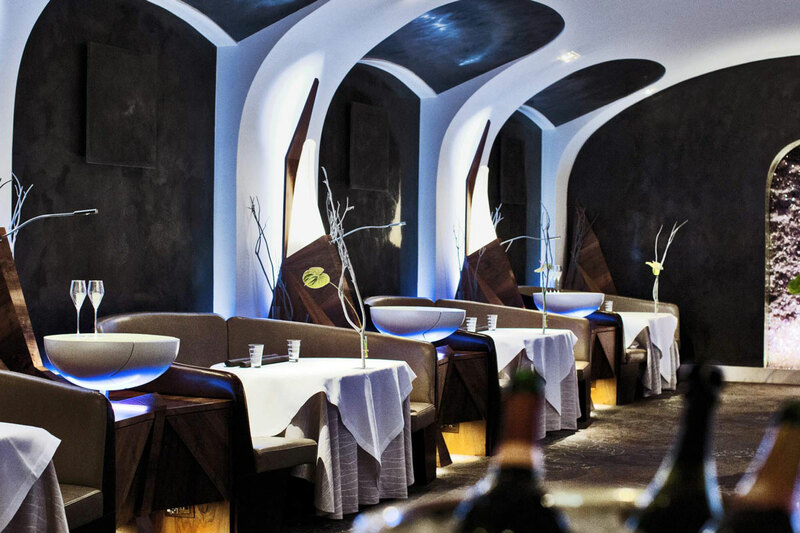 Chef Silvio Nickol is synonymous with creative cuisine of the highest level. 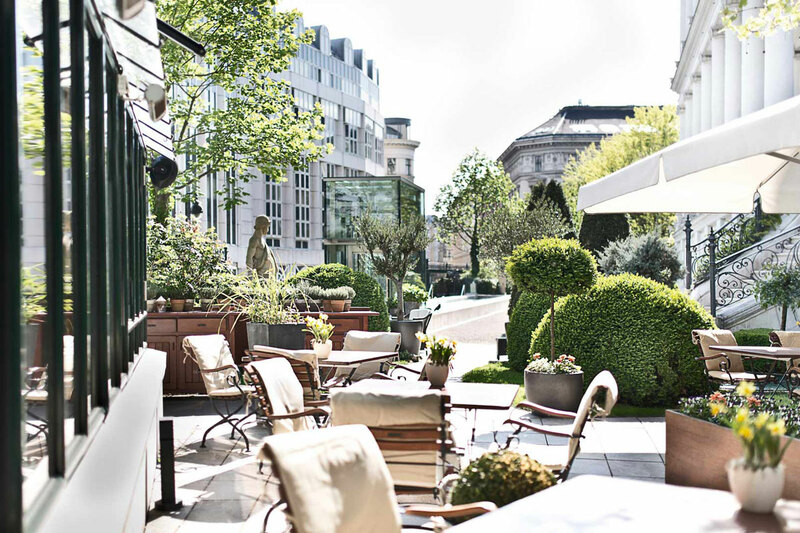 The gourmet restaurant at the Palais Coburg is a place of comprehensive, contemporary dining culture. Creative interpretations of classic dishes and exceptionally composed innovations as well as subtly arranged interaction of food and wine are the main topics in the gourmet restaurant of the Palais Coburg. In the wine list more than five thousand positions are listed, the sommeliers are devoted to the care and best presentation of fine wines. The Gourmet Restaurant presents itself architectural with glass, wood and leather in private but modern atmosphere amidst the historic palace. The Silvio Nickol Gourmet Restaurant is currently awarded with two Michelin stars and 4 Gault Millau toques (19 points). 2014 Silvio Nickol was named Gault Millau Austrian Chef of the Year. For breakfast, lunch, the afternoon snack or dinner: Our young restaurant offers a relaxed enjoyment with that certain something. Located in the greenhouse it offers a view of the Palais and has one of the most beautiful garden seating areas of the city. Four years after the opening the restaurant is now known as trendy culinary hotspot within the Viennese crowd to spend leisure time. The restaurant offers traditional meals, reinterpreted in a creative yet easygoing way. The menu offers a selection of meat (pork, beef, chicken, lamb), fish and vegetarian dishes, with prices starting from 10 euros. The restaurant’s sommelier presents a wine list that matches with the cuisine. Upon request the wines can be selected from the grand Palais Coburg winebook. The Restaurant is named after Clementine of Orleans. The daughter of the King of France and her husband prince August of Saxe-Coburg were the first inhabitants of the Palais Coburg in Vienna from 1849. Her painting is in the middle of the restaurant. The thick walls of the venerable Palais Coburg provide ideal conditions for the storage and slow, careful aging of great wines. This, combined with the owner Peter Pühringer’s love of such wines, is what has allowed collecting such an impressive treasure trove of them. The cellars of the Palais hold over 60,000 bottles of wine from all over the world dating back to 1727. The wine list is unique in Austria and its match would be hard to find anywhere in the world. 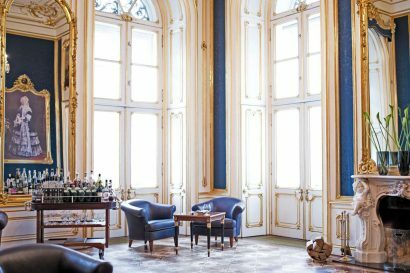 The Palais Coburg is keeping the coveted Grand Award since 2007, the world’s most renowned honor for a restaurant wine cellar issued yearly by U.S. wine magazine Wine Spectator. The Swiss Weinwisser awarded the outstanding wine collection 20 out of a possible 20 points. 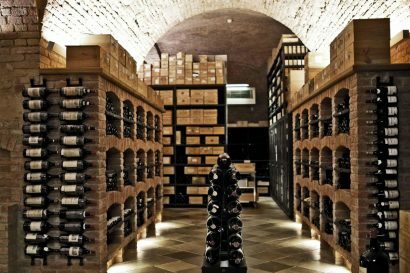 Other distinguished international publications (such as the American Wine Spectator, British Decanter Magazine, German Weingourmet, and Austrian Falstaff magazine) have reported steadily on this truly extraordinary wine cellar. In 2014 and 2017 the Palais Coburg received the award “Best Wine List in the World” and in 2015 and 2016 the award “Best Wine List of Europe” by the renowned magazine “World of Fine Wine”. Six wine cellars (Champagne Cellar, French Cellar, Rarities Cellar, Old World Cellar, New World Cellar, Yquem Cellar) were established in the various areas of the building’s historical foundation, each with its own characteristics, special dedication and ideal climate for the storage and aging of great rare wines. 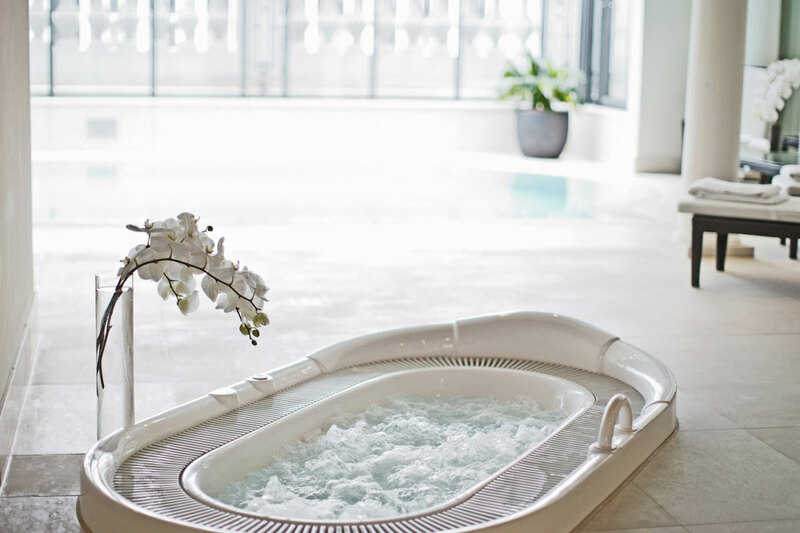 High above the roofs of Vienna and with the view over the largest park in central Vienna stands an oasis of relaxation consisting of an indoor pool, jacuzzi, sauna, steam bath, sun terrace and modern cardio vascular equipment from the gym. Event organizers are impressed by the orchestration all under one roof of the five-star hotel, extravagant rooms and gourmet banquet. From confidential fireside chats and gala dinners to concerts and assemblies for several hundred guests – the Palais Coburg has the suitable locations and spaces for staging various stylish and memorable events. The authentically restored state rooms are among the most magnificent event venues in the entire country and allow a truly princely reception for prominent guests. 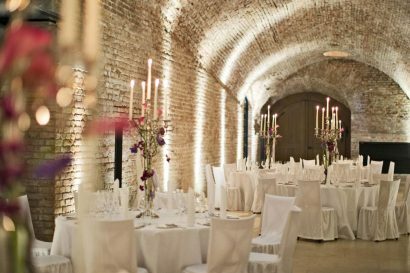 The medieval casemates of the bastion, which only recently have been restored and made accessible to guests, are available for delightful cultural or culinary events. Guests can access the Beletage of Palais Coburg via the old coach entrance and the grand staircase. Climbing up these stairs immediately transports guests back to the nineteenth century. Crossing the foyer of the state rooms, one arrives at the various salons. At the heart of the state rooms is the Mirrored Hall. Off the terrace, with their view over the Coburg Bastion, are the Blue, Yellow, and Green Salons. 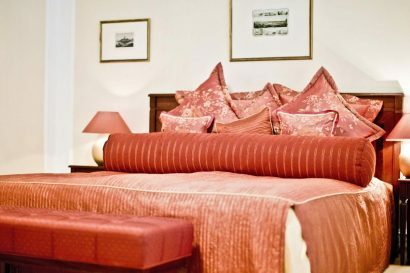 All of the state rooms are equipped with state-of-the-art technology. The Johann Strauß Concert Hall is named after the great composer who premiered two of his works here. Today, classical concerts and performances, for example by the Vienna Boys’ Choir, take place here. With its technical and infrastructural equipment, this room is also an excellent location for press conferences with up to sixty people. Two highly interesting, well-preserved architectural spaces were uncovered from Vienna’s former Renaissance fortifications: the Long Casemate and the High Casemate. Brick walls, light limestone floors, and carefully placed lighting create unique ambiance. Palais Coburg, with its building history spanning six centuries, offers a total area of 2,300 m² for special events and functions. State Rooms: Mirrored Hall (105 m²); Yellow Salon (80 m²); Green Salon (50 m²); Blue Salon (50 m²) and Johann Strauß Concert Hall (120 m²). – Casemates: Long Casemate (270 m²), High Casemate (117 m² and impressive 10 m high ceiling), the newly adapted Haram (80 m²) and the Vienna Mosaic Hall (188m²). Board room (35m²) with modern technical equipment and adjacent lounge (40m²).